5.8 hours (yes, you count your flight time in 1/10th of hours) into my private pilot certificate training I am starting to be less terrified and enjoying it more. Today I think I presented the first smile that said “ooooh, this was fun”, and not just “aaaaah, I survived….”. 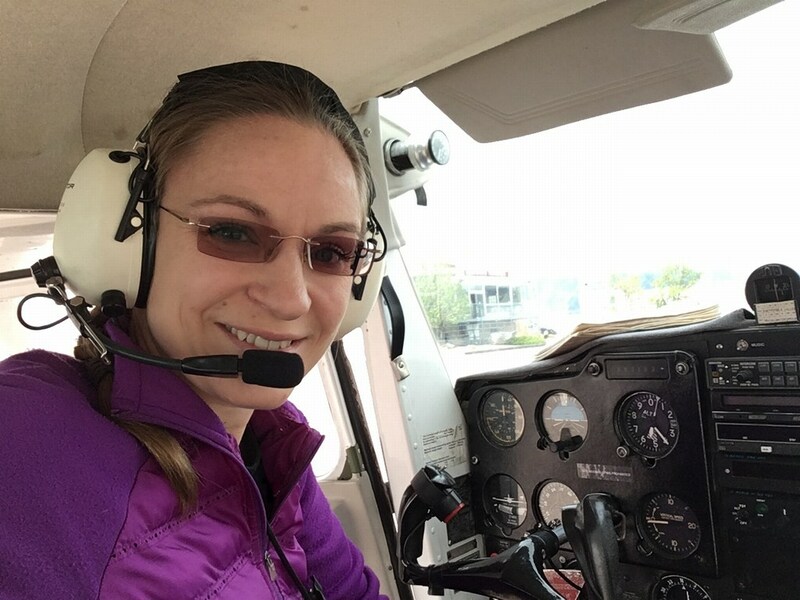 The feeling of flying a small airplane (Cessna 150) is not too dissimilar to the feeling of driving the KillaJoule land speed motorcycle. You are crammed into an aluminum can and strapped into a seat. It is rattling and shaking. 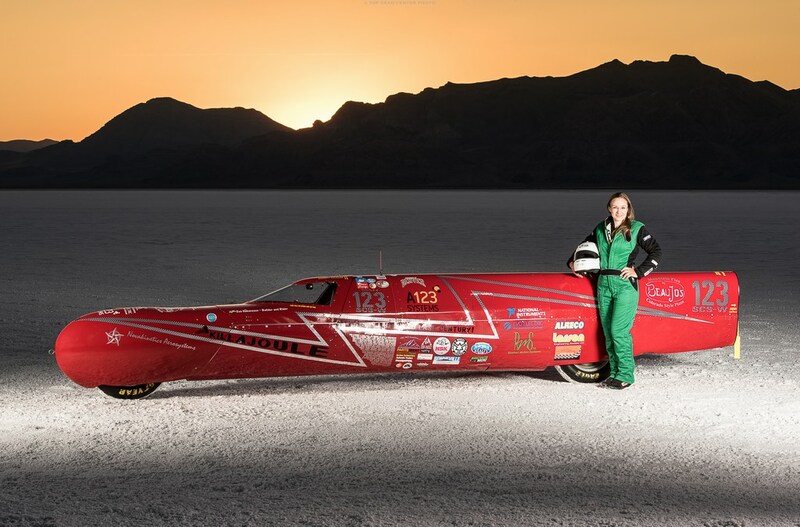 The temperature is whatever Mother Nature feels like giving you that day, which at Bonneville is typically roasting hot. Here in Colorado we are approaching that time of the year, but today it was pleasant to just wear a t-shirt in the plane (OK, I wore pants, shoes, etc. as well, just to be clear). 1) I have a highly skilled instructor by my side, guiding me through all the steps, and immediately taking over the controls if needed. My instructor Will Mathews at Journeys Aviation is a no-nonsense, straight shooter and an outstanding instructor. I feel 100 % confident, 100 % of the time that we will make it back to the ground safely. He also shares my somewhat twisted humor. Compare that to streamliner land speed vehicles where is no instructor showing you have to drive a vehicle that you built yourself. You have to figure it by trial and error (also known as “learning by hurting”) – while the world is watching! 2) That little Cessna I am flying has been in service for 60 years (yes, it is model year 1967), and it has made the maneuvers that I am practicing a million times without any problems. When you take a purpose-built racing vehicle out to set a new record, it is like taking a prototype airplane for a very first test ride – you have no clue what will happen! Even if your first experience of stalls and 45 degree banks in an airplane can be quite terrifying, it is nothing like being strapped into a streamliner and sent out alone on the track at the endless salt flats without a guidebook or instructions, and with the closest volunteers miles away… And even if you have raced for years, every time you set a new record you are going faster than the vehicle has ever done before, and you are entering uncharted territory. The feeling when it all works is magical, but to get there can be quite a wild ride. The similarities with an airplane are obvious. The truth is that it takes serious aerodynamic engineering to keep a vehicle on the ground about ~200 mph (~320 km/h), everything wants to fly at that speed! A Boeing 747 weighing almost 400 tons (800,000 lbs) takes off at 180 mph (290 km/h)….